Preheat oven to 400°F. Heat 2 teaspoons of oil in a large skillet over medium. 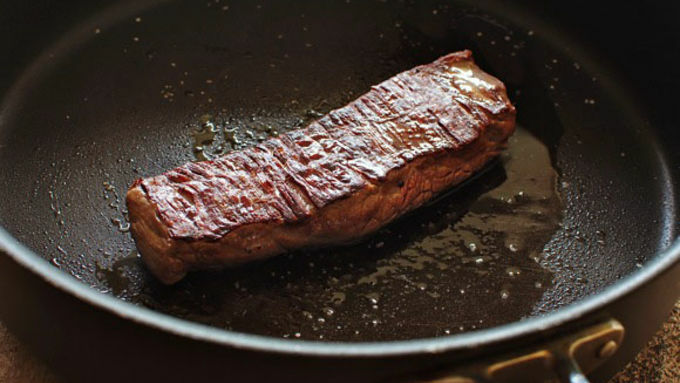 Season the steak with salt and pepper on both sides. Sear on one side for 6 minutes. Flip and sear another 5. Tent the meat and let it rest while you prepare the veggies. Back in the skillet, add the remaining 2 teaspoons oil. Add the onions and peppers; sauté until they start to soften and brown, about 5 minutes. Season with a pinch of salt. Remove from the skillet. 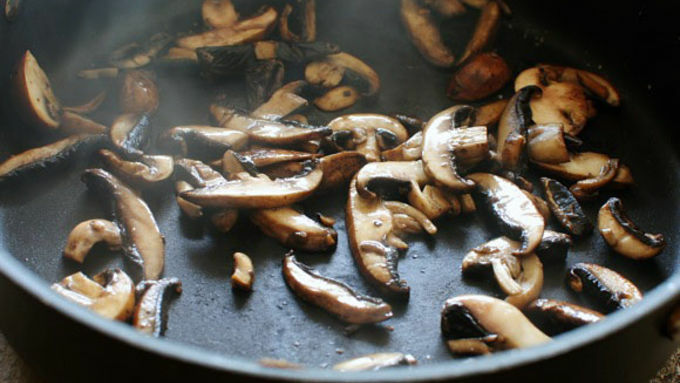 Add the mushrooms to the skillet and sauté until they start to soften and brown, about 4 minutes. In the meantime, roll the pizza dough onto a lightly greased baking sheet. Prebake the dough for 8 minutes. 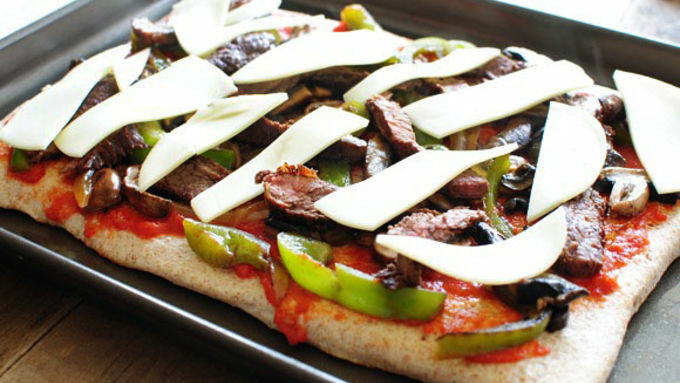 Spoon the pizza sauce over the partially baked crust, followed by the onions, peppers, mushrooms, and steak. Lay the cheese on top of the veggies and meat. Bake another 6 to 10 minutes, or until the dough is cooked and the cheese has melted and is starting to bubble. What you are seeing is not a figment of your imagination. 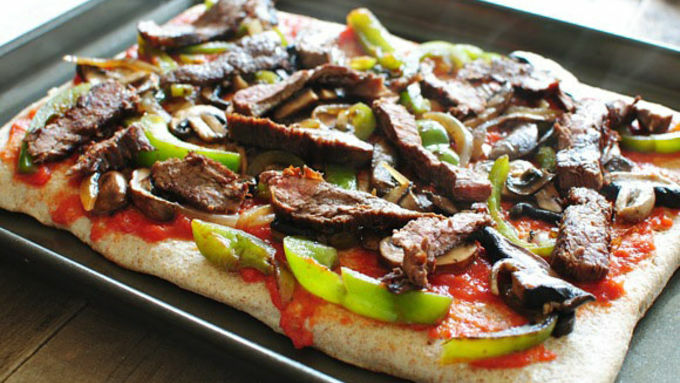 Have you ever put a cheesesteak on your pizza? 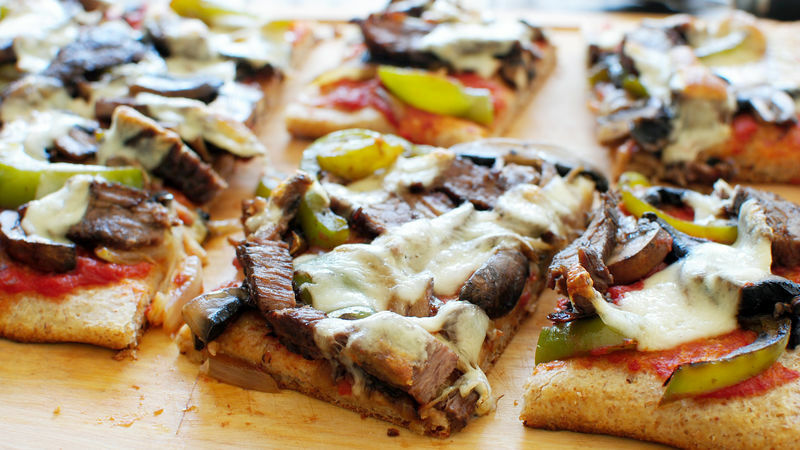 You should put a cheesesteak on your pizza. Let me tell you about putting a cheesesteak on your pizza. A) There's thinly sliced flank steak involved. I know you technically use, what, sirloin on a cheesesteak? You're totally allowed to do that if you want! I just chose flank because the breezes of my inner energy pool blew me in that direction. 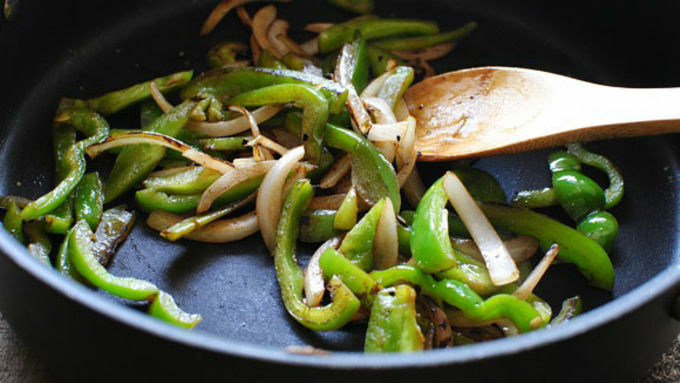 B) There are sliced onions and green bell peppers involved. I mean, how yummy does that sound? C) There are earthy, delicious sliced mushrooms involved. D) There are strips of provolone cheese involved. On top of everything. All melted and bubbly and magnificent. All of this, on top of a pizza. HA-BAM. 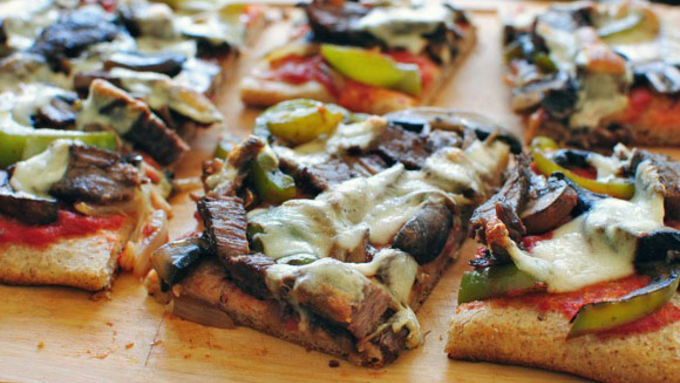 Put a cheesesteak on your pizza.